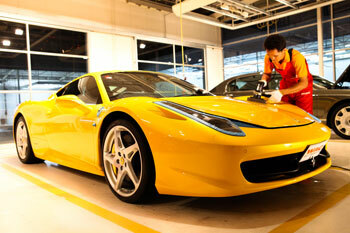 เคลือบแก้วคืออะไร และทำไมต้องทำที่ WAC Car Detailing? Donec ac cursus turpis. Vivamus vel luctus ligula. Donec ante turpis, pellentesque eget luctus a, pellentesque placerat magna. Integer in ligula elementum mi placerat sollicitudin. Phasellus varius leo vel nisi pretium pharetra. Etiam ornare quam eget nunc imperdiet varius. Donec ac cursus turpis. Vivamus vel luctus ligula. Donec ante turpis, pellentesque eget luctus a, pellentesque placerat magna. Integer in ligula Wordpresselementum mi placerat sollicitudin. Phasellus varius leo vel nisi pretium pharetra. Etiam ornare quam eget nunc imperdiet varius. Donec ac cursus turpis. Vivamus vel luctus ligula. Donec ante Joomla, pellentesque eget luctus a, pellentesque placerat magna. Drupal in ligula elementum mi placerat sollicitudin..
WAC Car Detailing is the No. 1 Professional maintenance and reconditioning centre for automotive in Thailand specialisting in both Exterior and Interior. 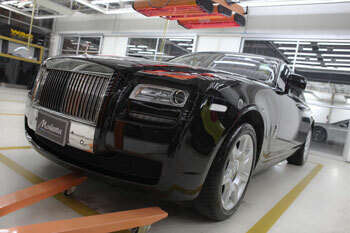 We were correctly approved to become Authorized Car Detailing Center by U.K., Japan, and USA. At WAC Car Detailing, we have the qualified personels, right tools, the lastest inventions and high quality SWISSVAX, Dodo Juice, Beautiful G'Zox, Modesta, CQuartz and Meguiar's products at your service from washing, waxing and polishing to cleaning interior, engine bay, tyres and wheels. Therefore, you can be sure that your car will be receiving proper treatments for long lasting shine. Copyright © 2013 WAC Car Detailing. All Rights Reserved.